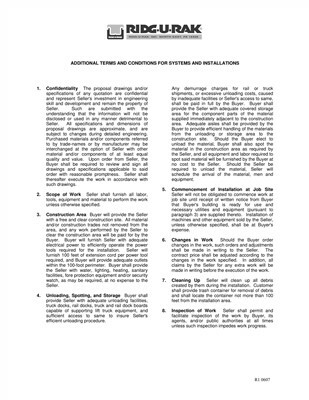 Installation, Maintenance, and other materials. 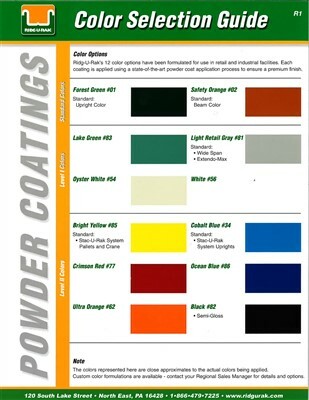 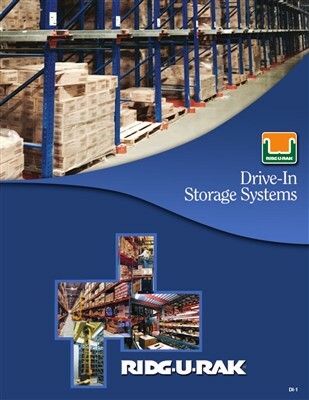 Drive In brochure details typical storage applications, use and system design. 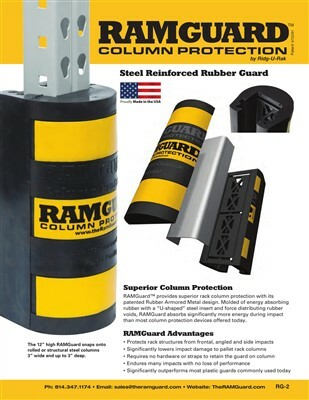 Aftermarket Rubber Armored Metal Column Guard. 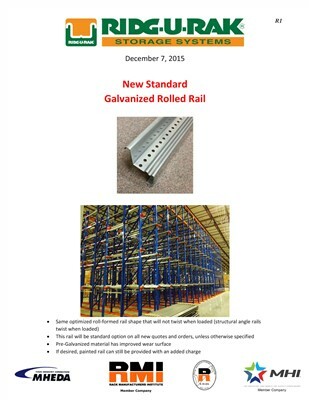 Fits most roll formed and structural columns. 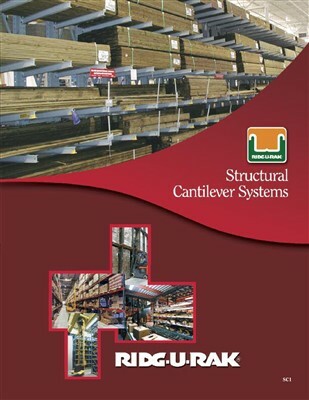 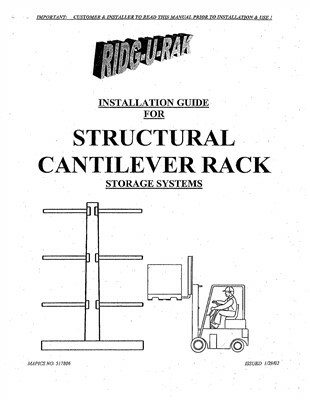 Installation Guide for Structural Cantilever. 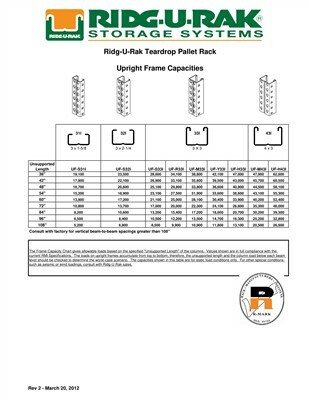 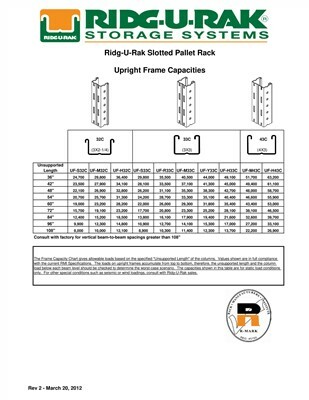 Capacity tables for Ridg-U-Rak's Teardrop pallet rack systems. 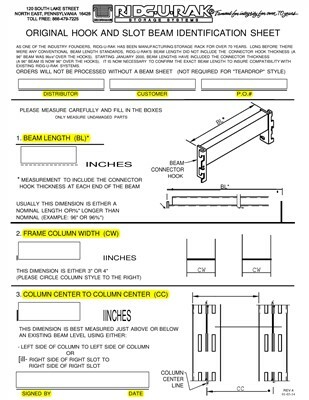 This is an interactive PDF. 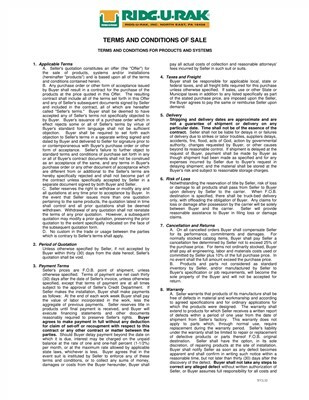 From the Table of Contents, click on the Title you would like to view. 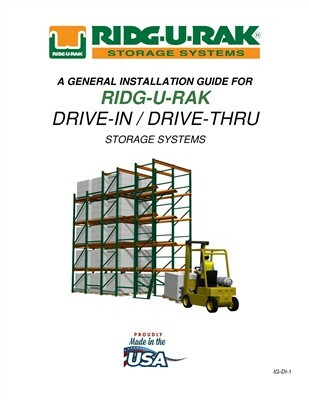 To return to the Table of Contents simply click on the Ridg-U-Rak logo at the top of the page. 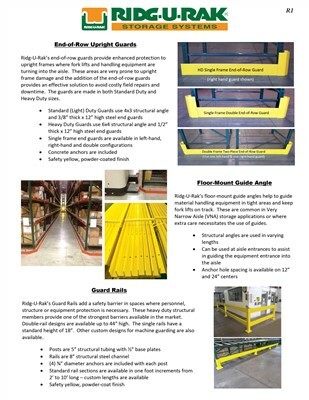 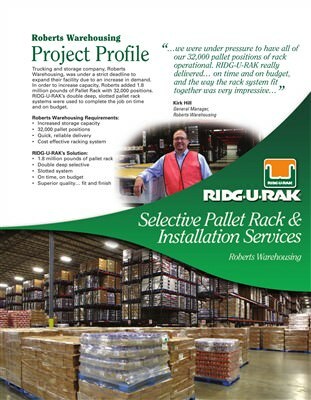 See how Ridg-U-Rak's Selective Pallet Rack and Installation Services helped Roberts Warehousing with their latest company expansion. 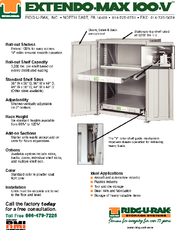 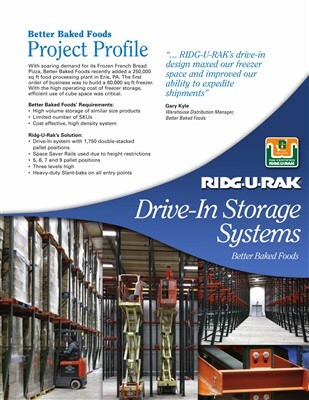 An overview of the storage rack systems that Ridg-U-Rak utilized to solve Better Baked Foods' storage dilemma. 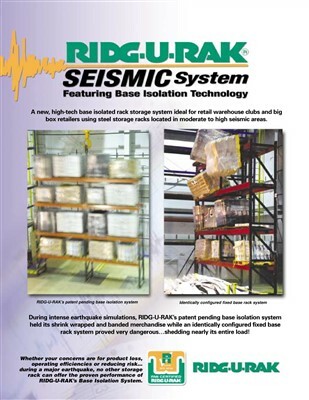 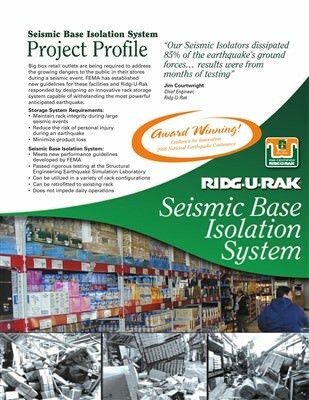 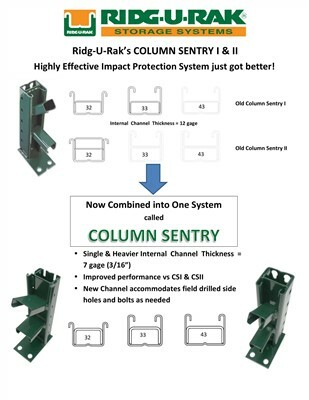 A description of how Ridg-U-Rak's revolutionary base isolation sytem is the best option for seismic-risk storage situations. 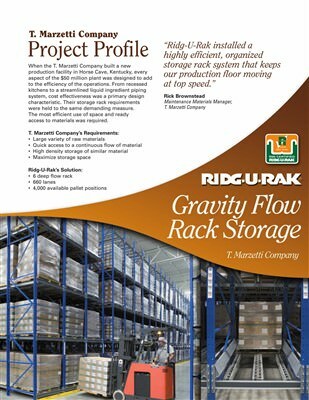 Ridg-U-Rak used Gravity Flow rack systems in a new warehouse built by T. Marzetti Company. 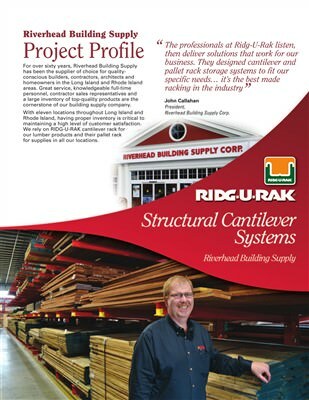 Riverhead lumber stock and sells all sizes of commercial lumber and wood products. 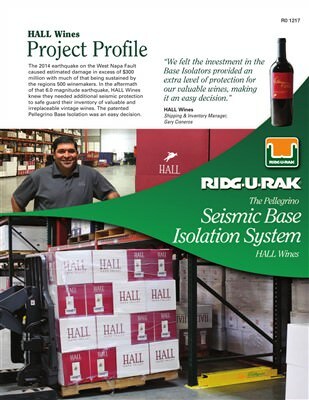 The patented Pellegrino Base Isolation was an easy decision. 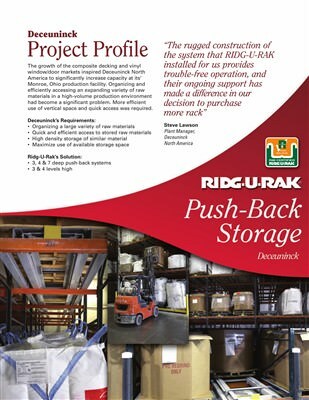 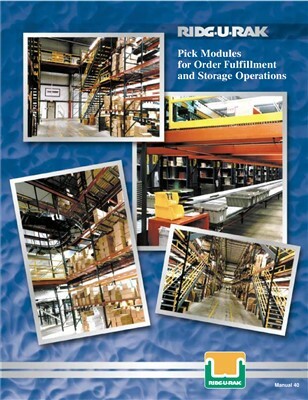 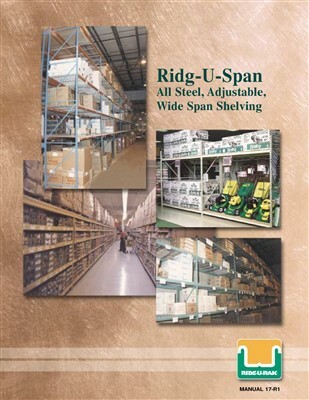 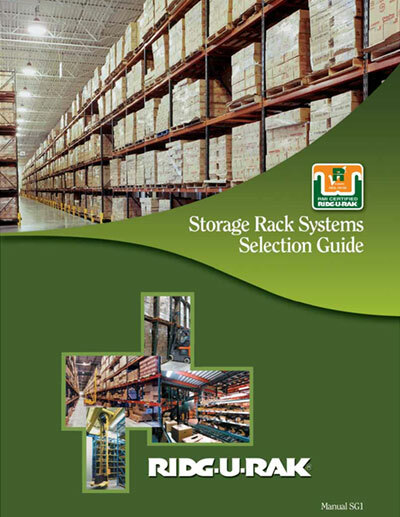 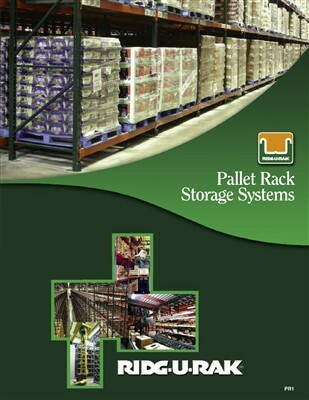 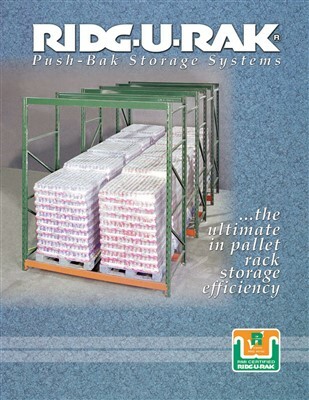 Overview of all RIDG-U-RAK pallet rack storage systems. 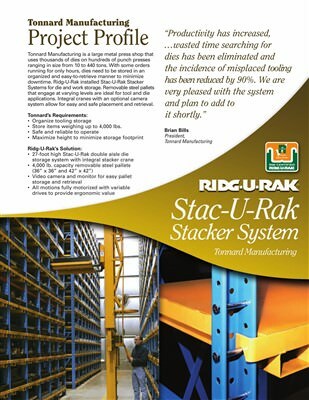 Video showing features and benefits of Ridg-U-Rak's Stac-U-Rak stacker storage system with integral crane. 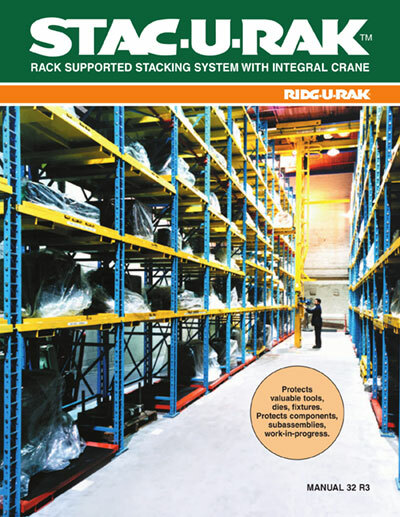 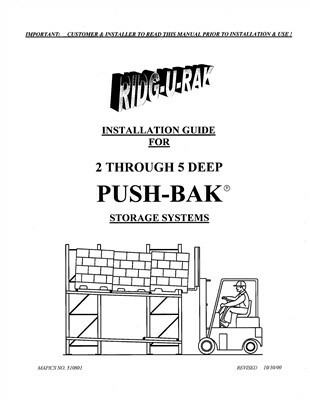 Instructional video on how to use Ridg-U-Rak's Stac-U-Rak stacker storage system with integral crane. 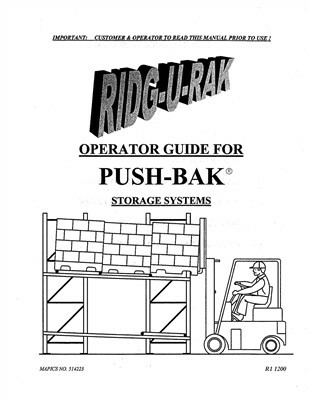 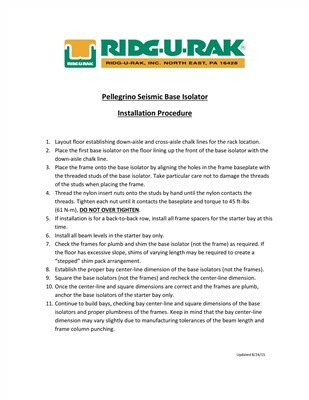 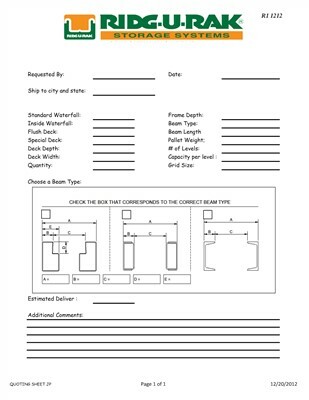 Order Ridg-U-Rak Literature using the form below. 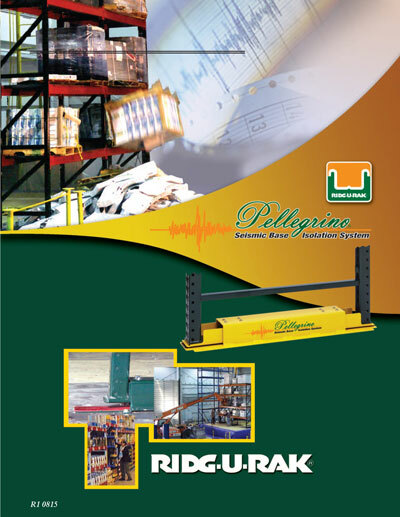 You can call, email or send us a letter if you have questions. 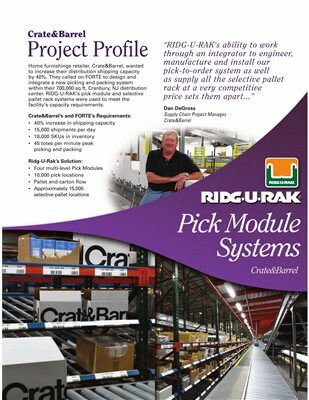 Follow us on Facebook or Linkedin too.